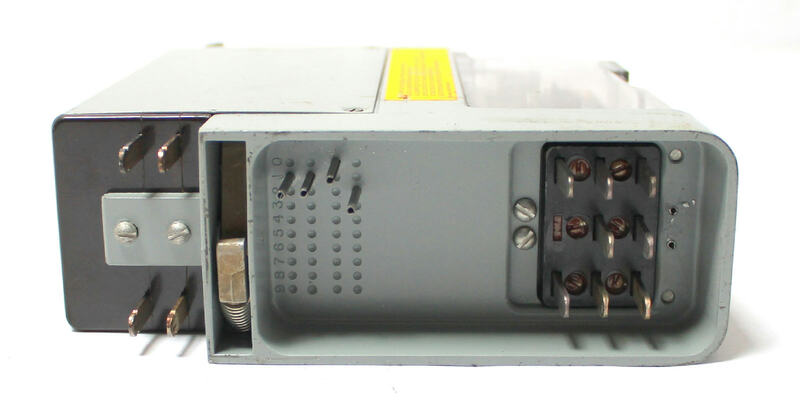 Up for sale is a used Ansaldo STS / Union Switch & Signal Inc. PN-150B Biased Neutral DC Relay. The PN-150B relay is designed for use in line and logic circuits requiring contact capacities up to 4 amperes. If greater capacity is required, the PN- 150HD relay is recommended (see RSE-4E2). If an equivalent relay with more contacts is required, the PN-250B relay is recommended (see RSE-4E4). Because the PN-150B relay is naturally biased, it becomes a battery-checking relay to ensure that the logic energy has the proper polarity. This is especially important where some of the circuits are polarity responsive, such as in switch repeating and polar line circuits. 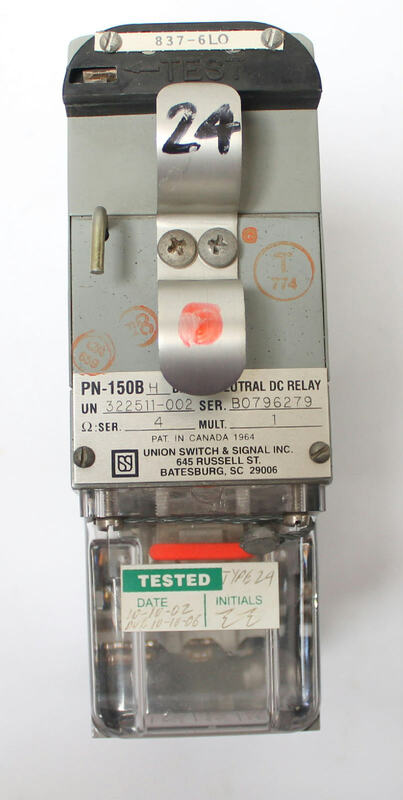 For a relay that operates on lower energization values, the PN-150BE relay is recommended (see RSE-4N3). Contacts of the PN- 150B relay are standard low voltage silver to silver impregnated carbon front and silver-to-silver back. 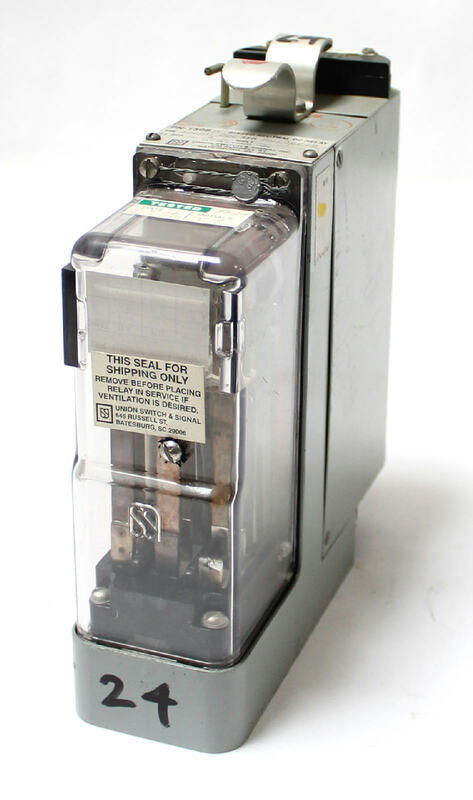 All PN-150B relays incorporate Lexan® covers.